House Intelligence Committee Chairman Adam Schiff fought back against Republican calls to step down from his powerful post, arguing that regardless of special counsel Robert Mueller’s findings, President Donald Trump and members of his 2016 campaign colluded with Russia. At the opening of a committee hearing Thursday, Rep. Michael Conaway of Texas read from a letter to Schiff signed by all nine of the Republican members, stating they have “no faith” in his leadership in light of his past and present promotion of a “demonstrably false narrative” that the president and his campaign colluded with Russia. They reminded California Democrat that in addition to the Mueller investigation, the Intelligence Committee “conducted a thorough investigation related to the 2016 Russian efforts to interfere in the elections,” finding no evidence that Trump or his campaign colluded with Moscow. The letter further highlighted that, as ranking member, Schiff’s minority views were included in the report, which was released last April, but he offered no evidence to support the claim of collusion then. The lawmakers further pointed out that the head of the Senate Intelligence Committee has publicly stated he has reached the same conclusion after his committee investigated the matter. Despite all this, the GOP representatives wrote that Schiff continues “to proclaim in the media that there is ‘significant evidence of collusion'” and has pledged to continue to investigate the president and the people around him. Do you think Schiff was being honest with the American people about Trump collusion? 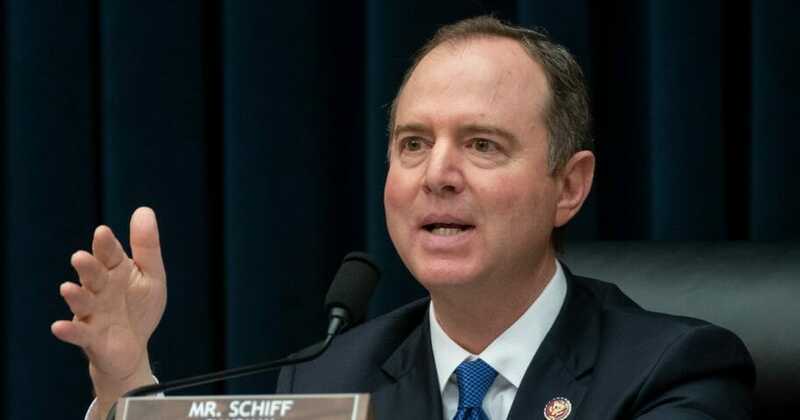 Schiff told The Washington Post on Sunday that “undoubtedly there is collusion,” after Attorney General William Barr released the findings of the Mueller report, stating there was none. After Conaway finished reading the letter, Schiff launched into a litany of reasons why he felt the president was corrupt and believed Trump’s campaign colluded with Russia. A significant portion of his remarks focused on the June 2016 Trump Tower meeting between Donald Trump Jr., Jared Kushner, campaign chairman Paul Manafort and Russian lawyer Natalia Veselnitskaya. “You might think it’s OK that their only disappointment after that meeting was that the dirt they received on Hillary Clinton wasn’t better. You might think it’s OK. I don’t,” said Schiff. In a July 2017 statement, Trump Jr. wrote that it became clear to him shortly into the meeting that the promise of potentially helpful information about Clinton was just a pretext to talk about Magnitsky Act sanctions and Moscow’s response barring the adoption of Russian children by Americans. Veselnitskaya, in fact, had no negative information about Clinton’s dealings in Russia. “I interrupted and advised her that my father was not an elected official, but rather a private citizen, and that her comments and concerns were better addressed if and when he held public office,” Trump Jr. said. Politico reported that Mueller’s team accused Manafort of giving polling data to a Ukrainian associate, with ties to Russian central intelligence. Schiff then set his sights on Trump specifically. The businessman had also stated that he had no idea whether Russia was behind the hacks, and later said when questioned about his remarks that he was clearly engaging in sarcasm. The chairman claimed he did accept the special counsel’s conclusions that neither the president nor his campaign engaged in criminal conduct. Earlier Thursday morning, Trump called for Schiff’s resignation not only from the Intelligence Committee but also from the House completely. “Congressman Adam Schiff, who spent two years knowingly and unlawfully lying and leaking, should be forced to resign from Congress!” he tweeted.